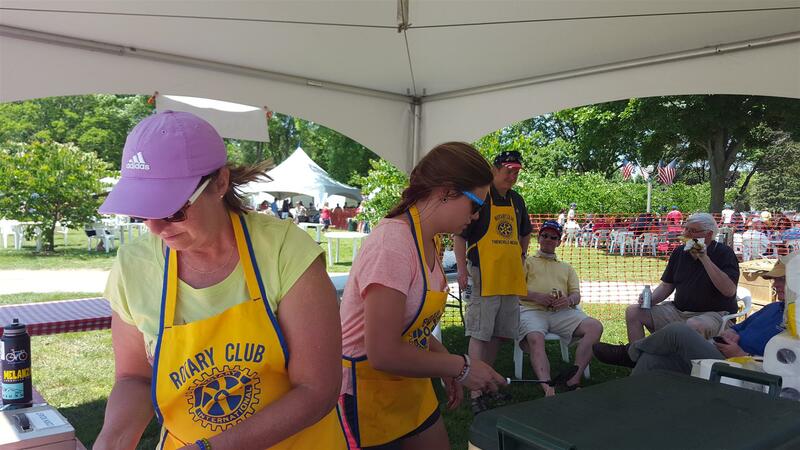 Saturday, June 25th was a glorious, sunny day with a cool breeze in Thiensville Village Park as our members once again pitched in and assisted Family Fun Before the 4th. 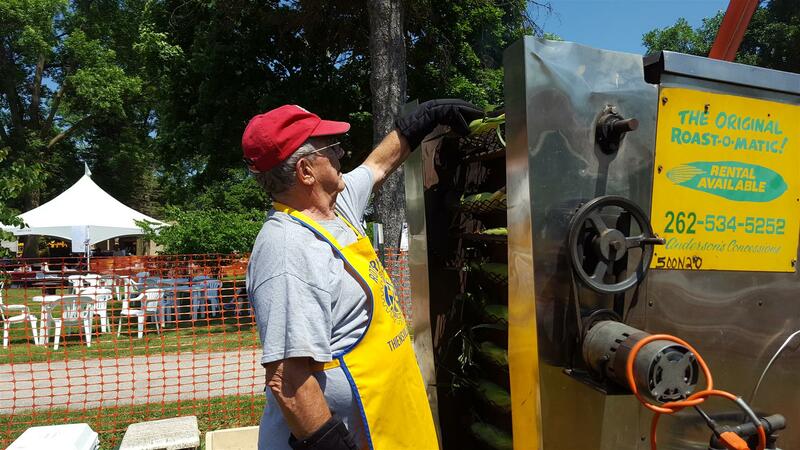 Karle Naggs begins the roasting process by loading up the roaster with tender sweet corn. 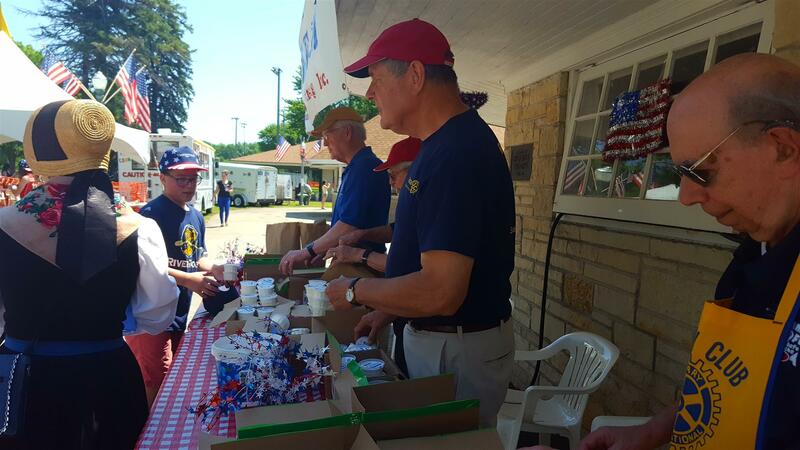 Dan Gannon, Robert Jacobs, Sandy Custer, and Herb Hillman distribute free ice cream following the parade. 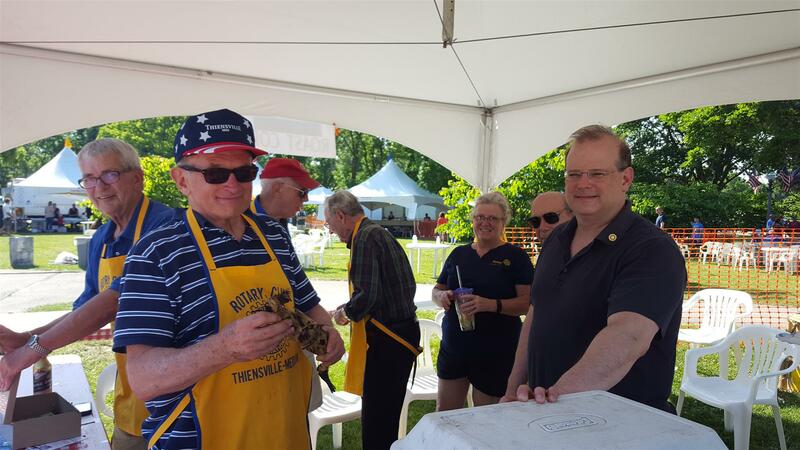 Mike Stack (former member), Stan Lind, Stan Smith, George Witte, Nancy Witte-Dycus, Herb Hillman and Bill Hart hard at work selling roasted corn. President Pam Koch and her daughter, Jessica, are hard at work while Van Mobley and friends supervise from the chairs.